Right, before I continue with this blog entry we need to get a few things straight from the start. I realise that it has been three months since my last blog (crikey, this sounds a lot like being in confession) and this entry has nothing whatsoever to do with the Sheep’s Head or life in West Cork but I have a favour to ask. Let me begin by promising a series of up-coming blogs filled with pirates, Atlantic Challenges, food fairs, book launches, an artist postman, Graham Norton and lots more. The summer has been very busy. All this with photos and video too, but first let me explain why I need your help. As you are no doubt aware by now, I love food. 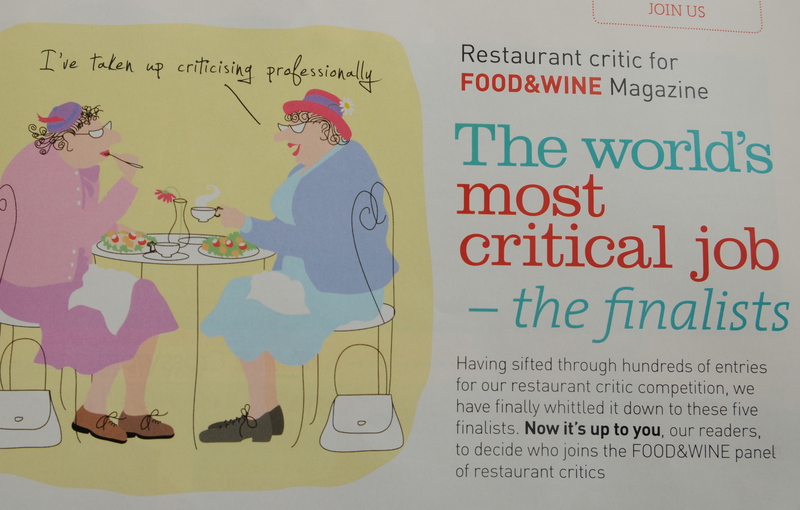 I haven’t been a journalist very long and over the years I have interviewed presidents, politicians, pop stars as well as some of the best chefs in Ireland and the UK; but of all these achievements, I rate two feature articles for a certain food magazine as the highlight of my scribbling career. 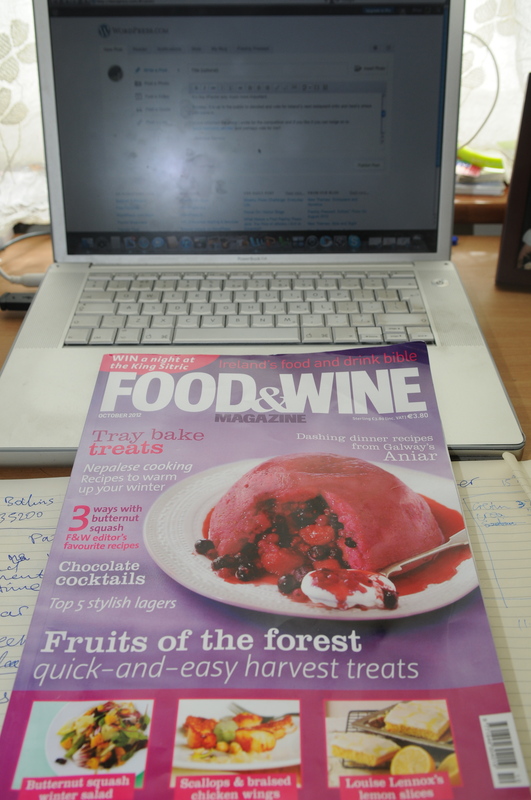 That magazine is Food & Wine Ireland and now they are looking for a new restaurant critic. In true reality TV style, the publishers decided to make a competition out of the search and asked all those interested to write 150 words on their favourite food experience. So, I sent in my entry and earlier this week I found out that I have been chosen as one of the five finalists. It’s like XFactor, only much more important. Anyway, it is up to the public to decide and vote for Ireland’s next restaurant critic and here’s where you come in. I have attached the piece I wrote for the competition and, if you like it, you can log on to www.harmonia.ie/critic/ and perhaps vote for me? The last warm rays of the sun are on my face as I set about preparing the catch. Mackerel from the bay, tiger striped in turquoise and blue, stiff with freshness, ready for the knife. The driftwood crackles and the skillet is warming nicely. But first a strip of mackerel dipped in light soy touched with wasabi, and swallowed with delight. That fresh, salty, oily tang followed by the fiery punch. Sublime. Sliced onions are softened on the skillet, now the fresh fish, added with a few home-grown leaves of sage. The orange glow on the horizon calls for a beer, the fish is almost ready. A lucky few gather with plates at the ready, just one more moment. A splash of white wine vinegar sends a delicious cloud into the air. I sit on a rock, curling my toes into the sand with every bite. Let’s put it this way: I live in West Cork, I love food, I love to cook, I love to write, please help make my dream job a reality and I guarantee* I will take you all out for dinner should I get the job.